As reported in the media, DeKalb County has been in talks with Atlanta United FC regarding a location for their practice fields and headquarters building. Atlanta United FC is a professional soccer team owned by the Home Depot co-founder, Arthur Blank. 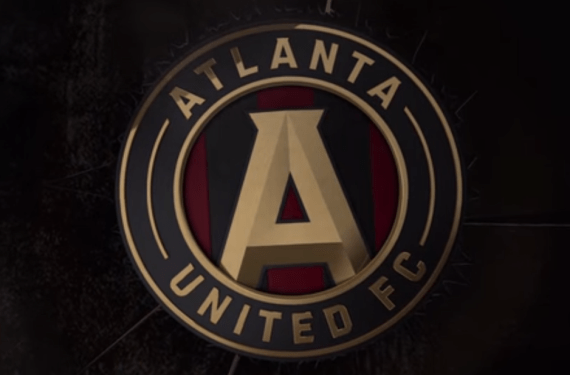 This week, the administration presented the Board of Commissioners with details of a proposed agreement between Atlanta United and DeKalb County. The Board of Commissioners is being asked to vote on this agreement on Tuesday, August 4th. 1) What return on investment can the taxpayers of DeKalb county reasonably expect from this agreement? 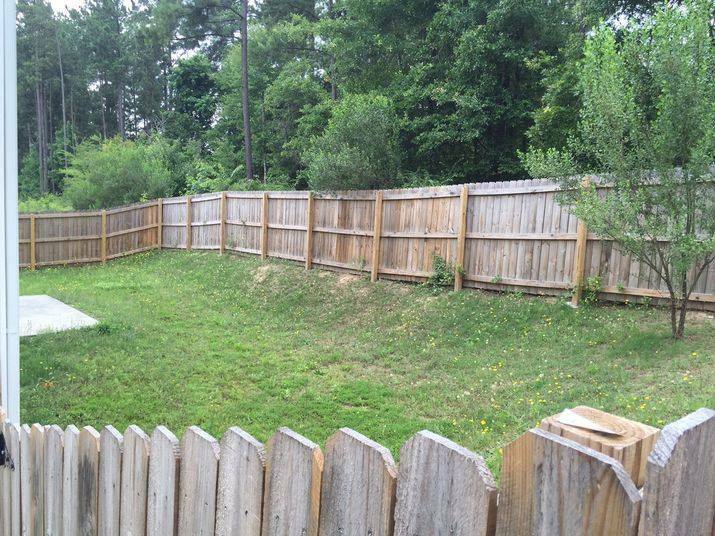 2) Has the county performed any economic analysis regarding expected economic activity generated by this land use? 3) How reasonable is the county’s expected land preparation cost of $3-$5 million? Based on the the requirements presented to the board, the preparations include, demolition, entrance construction, detention ponds, irrigation systems, and sod. 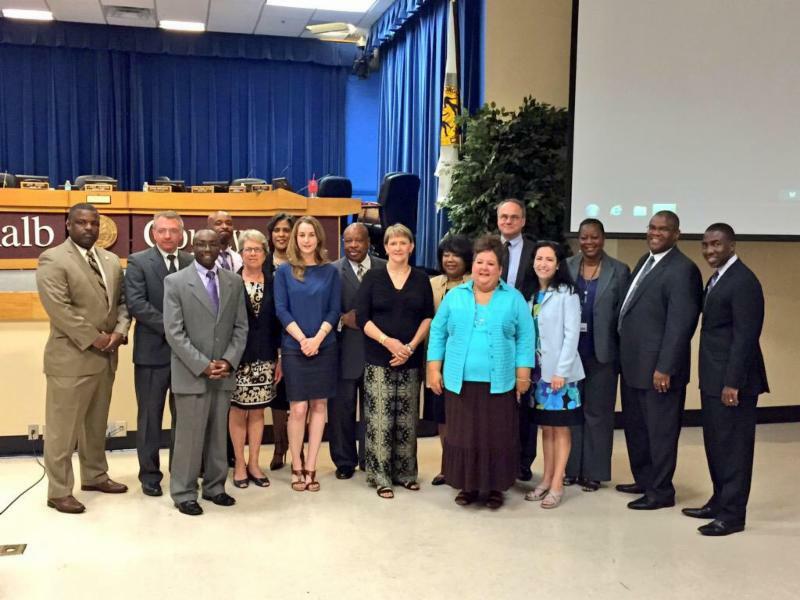 4) Why is the county proposing to use money from the General Fund to pay for this? Is not the correct fund for this, the Parks and Recreation fund? You have read my questions and the details of this proposal. I want to hear from you on this important issue impacting your tax dollars. We are scheduled to vote this Tuesday. I voted against the mid-year budget because it did not: (1) incentivize efficiency, (2) reform wasteful departments, or (3) improve DeKalb competence levels. Furthermore, it increased the the millage rate for the General Fund by 2.17 mills, thereby increasing the DeKalb County millage rates paid by all the cities. Taxpayers are getting hit again with significantly increased property assessments. Even though the assessment freeze gives residents relief on county and (for Dunwoody and Brookhaven) city taxes; your bill for school taxes is not subject to the assessment freeze. As your property assessment value increases, so will your school taxes. Fresh off the retrial of DeKalb County CEO Burrell Ellis, District Attorney Robert James said he’s still looking into a question of “phony documents” that allowed Vaughn Irons to continue doing business with the County. His office pulled records from the county government and the DeKalb Ethics Board in late February, soon after The Atlanta Journal-Constitution and Channel 2 Action News exposed the fake document. Ethics Chairman John Ernst said that’s the last he heard from law enforcement on the issue. James has several paths to choose from. For starters, the special grand jury whose work led to Ellis’ prosecution recommended criminal investigations of at least 11 other people, including Ellis’ campaign manager and the former public safety director, accused of smothering a detective’s probe into water department contracts. None of the 11 has been charged. DeKalb Interim CEO Lee May and members of the DeKalb County Board of Commissioners will tour a multitude of locations throughout the county on Tuesday, Aug. 4, from 5-8 p.m. to promote crime prevention initiatives during National Night Out. DeKalb will have more than 100 neighborhoods participating this year with cookouts and other events during which local law enforcement officials will join and engage with members of the community. 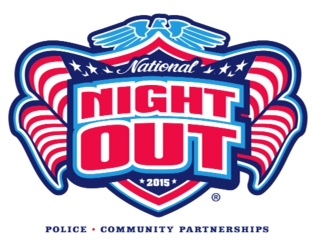 Target is the national sponsor for National Night Out, and DeKalb residents are invited to visit the Target location at Northlake, 4241 LaVista Road, Tucker GA 30084 to kick off the evening. The Fire Safety House will be on-site so kids can practice crawling low under smoke and there will also be giveaways and demonstrations from Target and various DeKalb County departments. The DeKalb County Police Department will showcase Special Weapons and Tactics (S.W.A.T.) response units, new police vehicles, and the latest crime prevention technology. Georgia and Florida high school football teams go head-to-head for the third consecutive year at James R. Hallford Stadium in Clarkston in the Chick-Fil-A Battle of the Borders on Saturday, August 29. 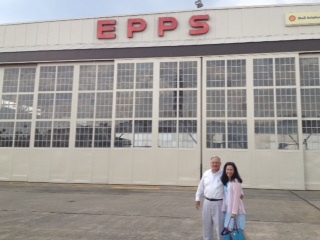 Visiting Pat Epps, Founder & President of Epps Aviation, a great DeKalb County job creator! 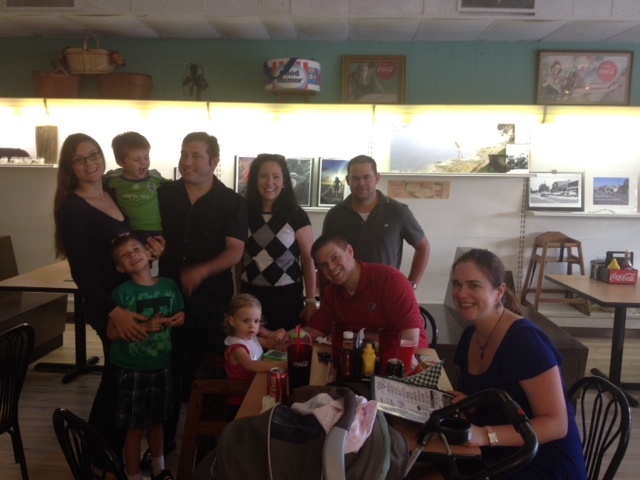 Thanks to everyone who visited the inaugural Nancy Jester Commissioner Conversations in Tucker. A special thanks to our host The Old Tucker Fountain for the hospitality. Commissioner Nancy Jester was honored to introduce the resolution making DeKalb the first county in Georgia to sign the Georgia’s Not Buying It Pledge to stop human trafficking. 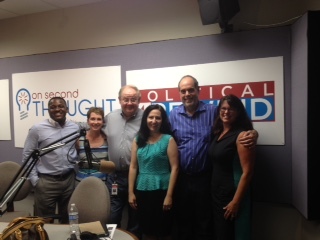 Political Rewind with Bill Nigut on Georgia Public Broadcasting. 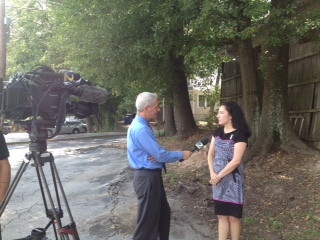 Interview with WSB TV on the Atlanta United FC soccer complex.